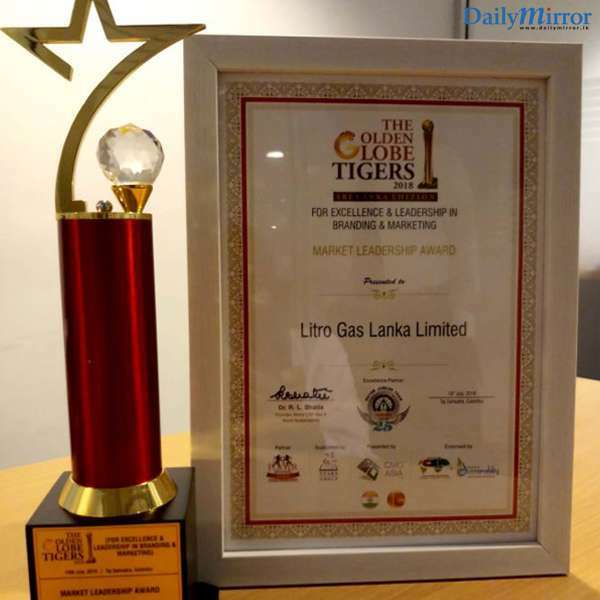 Sri Lanka’s largest importer and supplier of LP Gas, Litro Gas Lanka illustrated its industrial and brand strength respectively with two back to back awards from the Ceylon National Chamber of Industries (CNCI) and the Golden Globe Tigers Awards recently. Winning the Gold Award in the extra-large Category at the prestigious Achiever Awards conducted by the Ceylon National Chamber of Industries (CNCI), Litro Gas Lanka proved its prowess in areas such as financial strength, operational excellence, competencies in the HR facet, Health, Safety and Environmental disciplines, achievements in technological expertise, proficiencies in marketing and undertakings on areas of Corporate Social Responsibility as well as Sustainability. Claiming the Market Leadership Award at the Sri Lankan edition of the Golden Globe Tigers 2018, Litro displayed its excellence in branding and marketing. 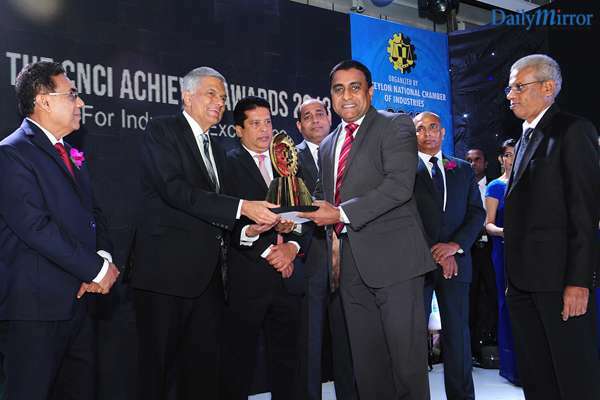 The 17th CNCI Achiever Awards ceremony took place at the Galaldari Hotel in the presence of Chief Guest Prime Minister Ranil Wickramasinghe while the Golden Globe Tigers 2018 was held at the Taj Samudra Hotel. “Our strength as a premier corporate entity in Sri Lanka encompasses both our industrial as well as brand proficiency. While we commit to enhancing our technological strength, innovation and sustainable practices, we also put forth a considerable amount of effort towards building our brand. The two awards testify to the success of our endeavours,” commented Chaminda Ediriwickrama – Director Marketing & Sales/ Corporate Affairs. 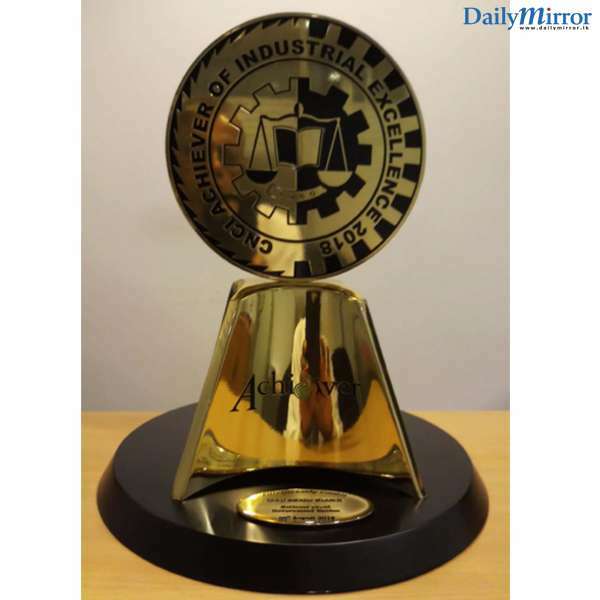 Organized by the, the premier Industrial Chamber in the country, CNCI Achiever Awards is a prestigious platform that that recognizes Sri Lankan Industrialists for their achievements both in the manufacturing and service sectors. Through recognizing various competencies of industrials in Sri Lanka, CNCI strives to promote quality, adherence to standards, productivity, employee benefits, labour relations while assuring concerns over the social and environmental obligations in order to encourage enterprises to reach further heights in their spheres of operations. A panel of eminent judges conduct a stringent, independent and transparent evaluation process of the applicants attributes to bestow the Achiever Awards on deserving enterprises. CNCI consistently ensures the victorious dignity of the awards process and provides reasonable meaning to the sentimental value of the symbol of the achievements of victorious entities. The award for Industrial Excellence in the extra-large Category focuses on competencies and excellence in similar organizations with a higher annual total turnover. LITRO Gas has been a member of CNCI from 2016 and this is the first time that the Company participated in the prestigious event. The Golden Globe Tigers Awards aims to recognize "TIGERS" in marketing, branding CSR, social innovation, education and academia across leadership levels in individuals and amongst organizations. The ‘Golden Globe Tigers awards’ is multifunctional, multidisciplinary and it honours focused industries as well as industries across various segments. 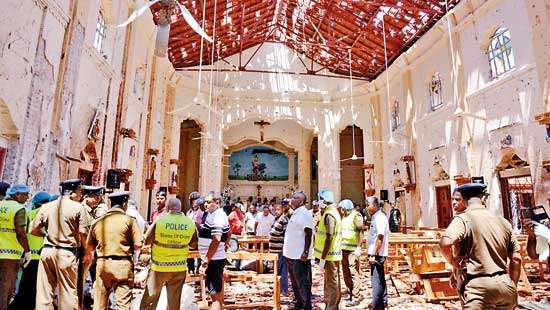 Litro Gas Lanka Limited operates the country’s only import terminal and filling facility which has the capacity to cater to the LPG needs of the entire Island. Fuelled by comprehensive coverage given an island wide network as well as robust brand strength, Litro retains a strong position as a corporate entity in general and in the LPG industry in particular.